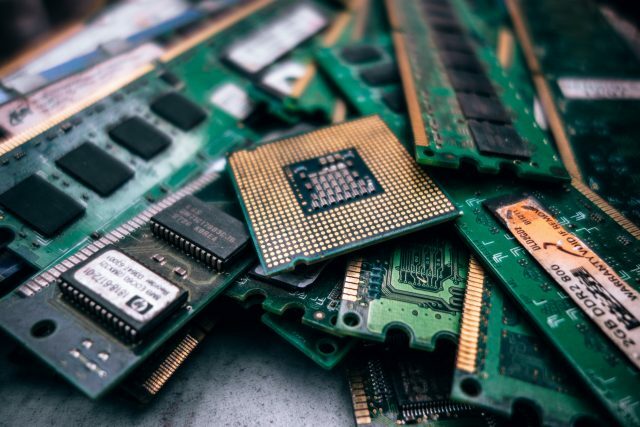 Slippery Rock University’s Department of Environmental Health & Safety holds a free community E-waste Collection Day from 8:00 a.m. to 3:00 p.m. Saturday, April 28 at SRU Recycling Center, Stores II Facility, Kiester Road, Slippery Rock. Acceptable items are computer monitors, computer CPUs/towers, laptop computers, server units (no racks) keyboards/mouse devices, decktop printers, fax machines, phone (cell or cordless), electric cords, scanners, audio receivers, VCR/CD/DVD players, answering machines, electronic games, microwave ovens, electric spage heaters, modems, routers, radios, televisions, remote controls, fans, audio speakers and toasters. Non-acceptable items are paints/stains, pesticides, herbicides, cleaners, oil, gasoline, refrigerants, large copy machines, air conditioning units, appliance (refrigerators, stoves, washers, dryers, dehumidifiers), light fixtures (fluorescent light bulbs), batteries, tires, lawn equipment, snow removal equipment. No commercial items or hazardous chemicals. Clear all personal data from phones and computers. The event is limited to residents of Allegheny, Armstrong, Butler, Beaver, Clarion, Lawrence, Mercer, Venango and Westmorland counties. Proof of residency, such as driver’s license, is required for all drop offs.